Droughts are an ever increasing part of life for horse owners in Australia. Each drought brings its own set of difficulties. How well you and your horses survive drought will depend on the initial plan of action and the modifications undertaken to the strategy as the drought progresses. The next step in drought action planning, is to estimate when you think the drought will break. This will affect your calculations on how long you will be feeding horses, how much it will cost and whether you will decide to sell horses or not. It is best to overestimate the time you expect to hand feed your horses to be on the safe side. Below provides a list of questions you will need to address when deciding what to do in drought. Check to make sure your action plan addresses these questions. You need to consider the long-term effect your plan will have on your pastures and soils. Pasture / Forage is a major consideration for your horses’ diet. 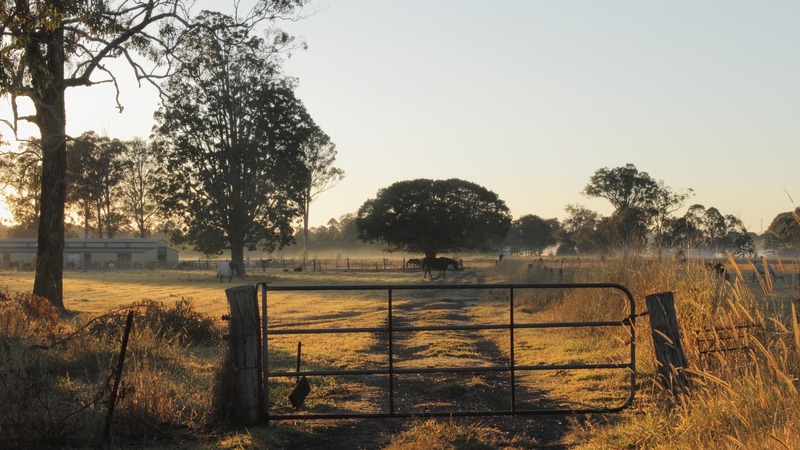 If your pastures are mostly annual species or your soil type is unstable, then you may need to lower the number of horses you intend to keep so that you minimise the long-term effects drought has on the environment and your pasture base. You should seriously consider confining at least some of your horses to a small part of the farm. This could mean stabling or yarding them for periods. Stud managers have successfully undertaken this option in previous droughts with the stock, pastures and soils emerging from the drought with minimal impact. If you were not on your farm/stud during a previous drought, talk to neighbours or relations about what happened to your district during that period. They may be able to suggest strategies that reduce the impact of the drought without significantly increasing your financial burden. Sourcing fibre during a drought is becoming increasing hard with pasture reserves in many places exhausted and hay prices literally doubling with some reports many produce stores are limiting sales of hay to one to two bales per customer at a time. After water, fibre is the most important nutrient source to ensure your horses maintain digestive health and condition. The horses digestive physiology evolved to eat low quality rough and thrive so when you evaluate your hay / pasture supplies, you do not always have to go for the highest energy , highest protein source. A vital part of drought management is feed budgeting. If you know approximately how much roughage your horses require per day and multiply this by how many days you expect the drought to continue you can easily estimate how much fodder you have to source and its cost. When you estimate your horses fodder consumption I would suggest estimating at least 1-1.5% of your horses body weight. For a 500kg horse this would be 5 -7.5kg per day of pasture / hay / chaff etc. The remaining portion of your horses’ diet can be provided by supplementary feeds. Quality, not just nutritional levels is extremely important to know. If you know the nutritional levels of your roughage you can calculate what additional feed you need to ensure your horses’ complete nutritional requirements are met. For example using a roughage source such as “stalky” grass or cereal hay may have a low energy and protein, but will be high in fibre to assist with digestive health. Depending upon your category of horse you would supplement with a higher protein and or energy source of supplemental feed. As we draw on hay from the bottom of the stack the risk of moulds increases as to the risk to health. When you purchase your hay ensure you look for mould and avoid feeding this to stock as much as possible. Drought feeding management is quite a complex and ever changing dynamic and must take into account each horse owners unique set of circumstances. For more detailed information please feel free to download a FREE book on “Drought Feeding for Horses” from the “agfutures” government website. If you would like to discuss any aspect of this book with me please feel free to contact me through the Barastoc Horse website.